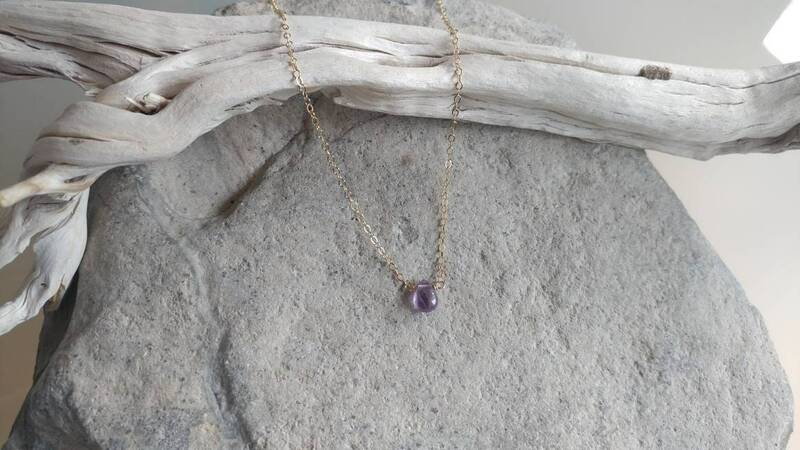 A simple tiny amethyst stone suspended from a delicate gold filled or sterling silver chain. Perfect for adding a touch of color to any layered ensemble. 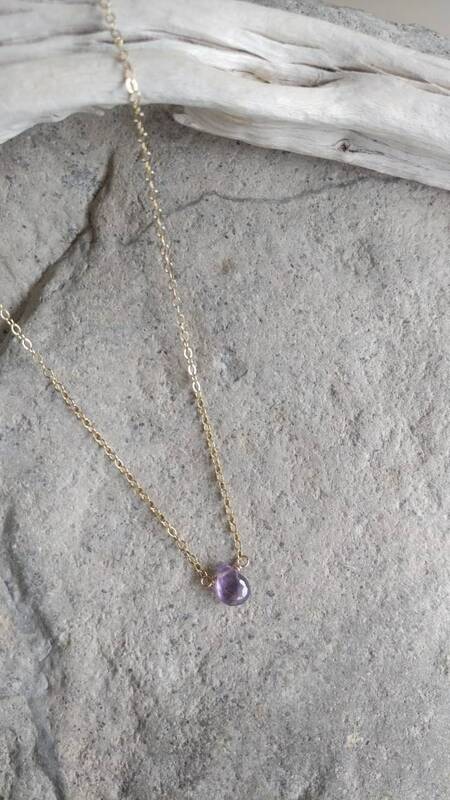 The stone is a tiny 7mm and a beautiful light purple amethyst color. It can be worn with everything! 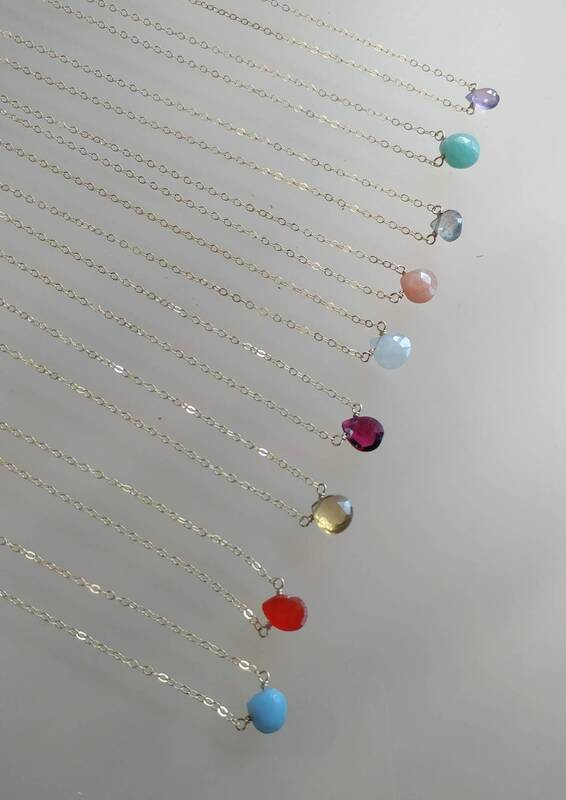 This necklace is also available in 8 other colors as shown. 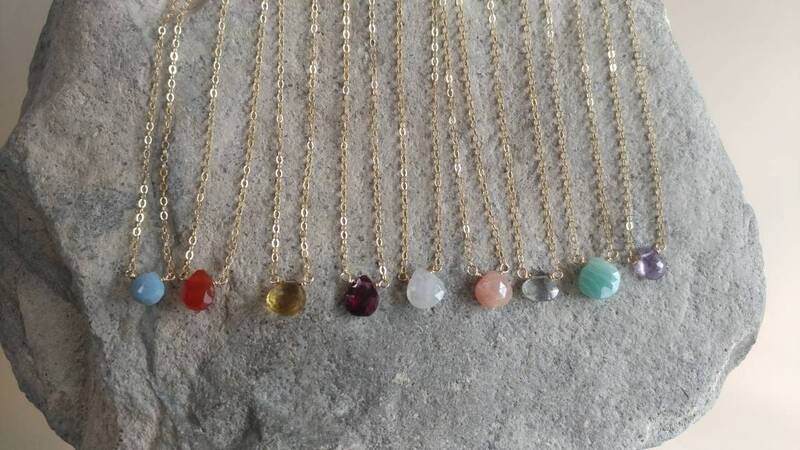 From left to right: Blue opal, carnelian, topaz, garnet, white moonstone, peach moonstone, labradorite, amazonite and amethyst. 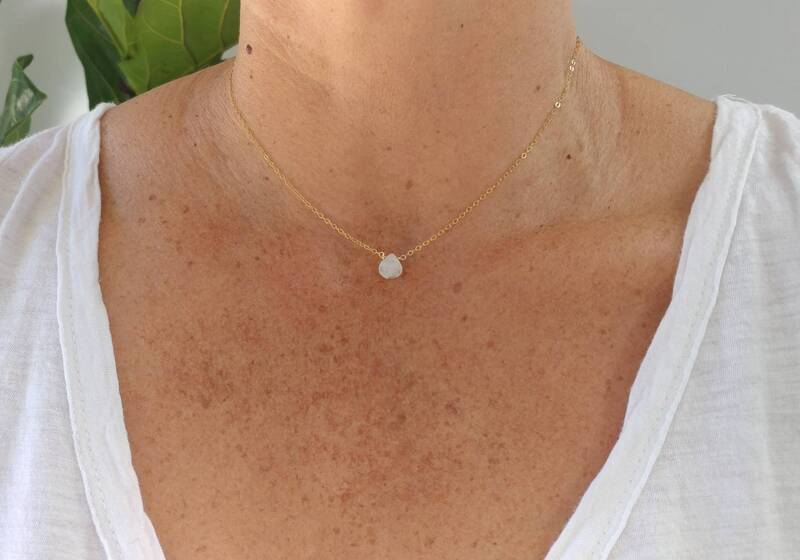 Example of white moonstone shown worn in 16" length.